← Heading to San Diego Comic Con! Come say Hi! 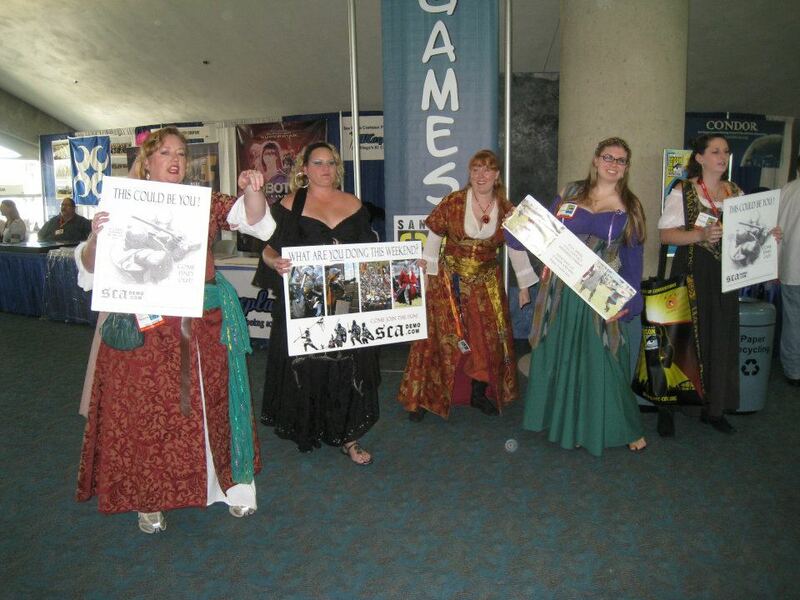 SDCC Recap a.k.a I Return from the DEAD! Yeah, I really needed a week off after San Diego Comic Con. It’s a con that will wipe you out! But it was fun and totally worth it. I had a complete blast doing SCA stuff, costuming, and hanging out with wonderful friends! Anyways, Photos of the Archer Cosplay group and of my Annabelle Leigh Langly costume from Comic Con are up over at Costumed Nonsense. You can check out the photos here! 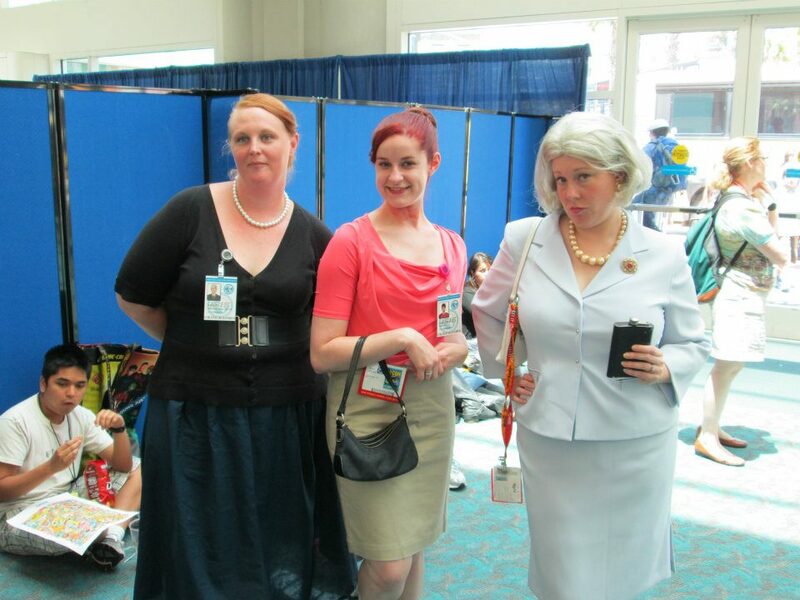 As for SDCC, here’s some photos of the awesome times! 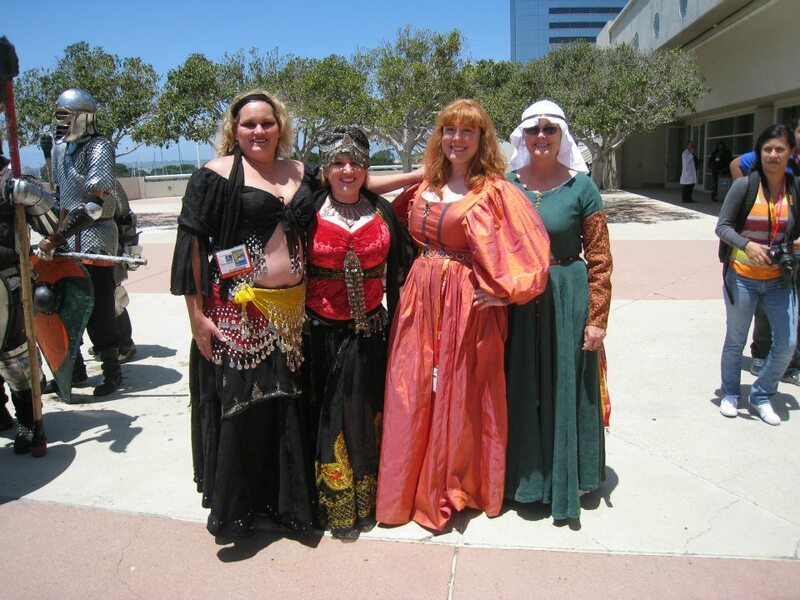 Us lovely ladies pimping out the SCA fighting demo! Let me tell ya, Persian garb and silk were a God send in all that nasty heat and humidity! My friend Jen organized an awesome Dresden Files fans meet up on Thursday evening of con. We all met at the Lincoln Room for drinks, yummies, and total geekery. A great way to kick off nerd prom! The Lincoln Room is the best place to get an Old Fashion by the way. Ooooh yes! Unfortunately those are all the photos I have, thanks to my friends. I was so busy, I didn’t have time to take out my camera… which I ended up forgetting at home anyways. Don’t judge me! But as usual, I had a rockin’ good time with my friends which always makes the busy times totally worth it. And to end this post, ART! A request from Colleen from Wyng’d Lyon for the folks at Sigh Co Graphics. 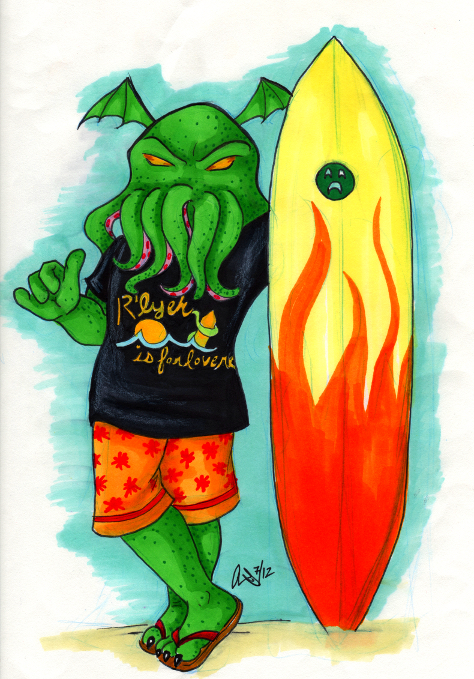 You can pick up Cthulhu’s T-shirt from their website! FINALLY in color. 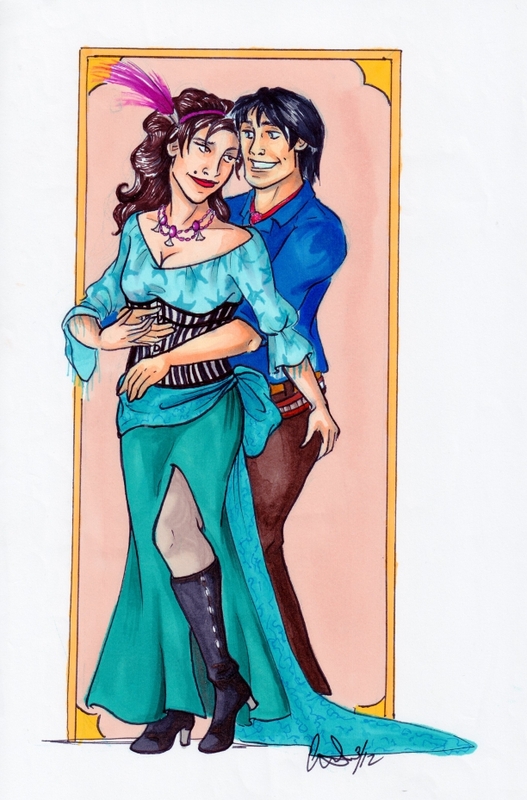 Madam Jezebel Norton and the notorious bandit, Charlie Colt. 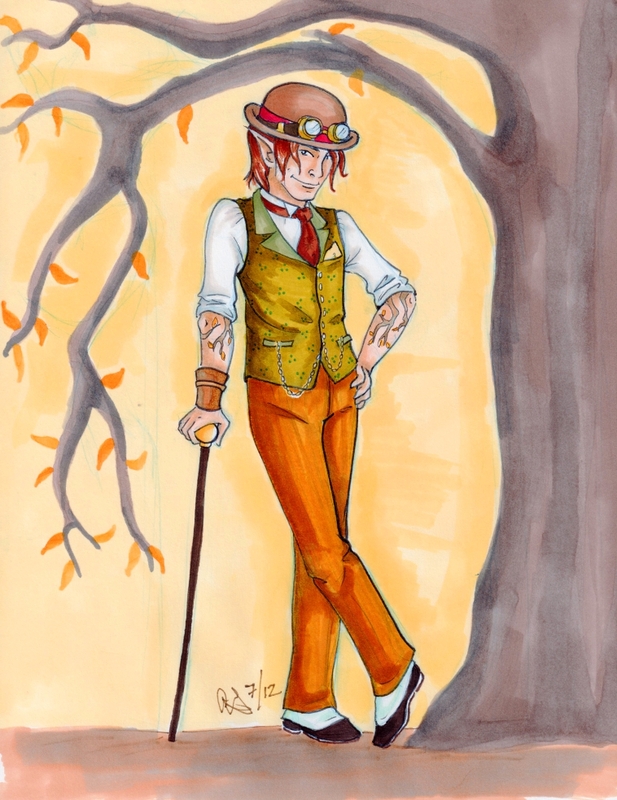 And one of the steampunk commissions, finished! Here’s Gabe the changeling from the Dresden online game, Soulfire. More commissions coming up!